Discover this great Storrs hotel when visiting UCONN (University of Connecticut) campus in Storrs. The Best Western Storrs is located five minutes from the University of Connecticut campus on RT 195 south of the campus. The hotel is within walking distance to East Brook Mall, restaurants, movie theaters and all your needs when visiting University of Connecticut and Eastern campus. 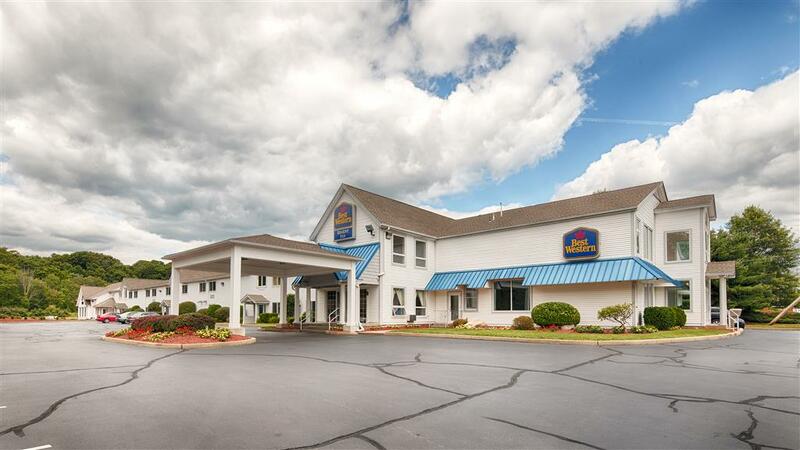 The Best Western Storrs' spacious guest rooms each offer cable satellite television and high-speed Internet access. A complimentary continental breakfast is available each morning. Additional amenities at this hotel include an indoor swimming pool, fitness center, business services, and conference facilities. Guests staying at the Best Western Storrs will be close to the Windham Textile and History Museum, the Foxwood Casino and the Pomeroy State Park. The Best Western Storrs is also ideal for friends and family visiting students at Eastern Connecticut State University and the University of Connecticut. For superior customer service make a reservation at the Best Western Storrs! From: Route 384. Go east to Exit 68 and turn right onto Route 195. The Best Western Storrs is located 15 miles down Route 195 on the right side. ~23 miles from Mansfield Center. ~26 miles from Mansfield Center. Kids can climb on a fiberglass Wump the Gump; adults can ponder Dr. Seuss's bow-tie collection and his pen nibs. ~32 miles from Mansfield Center. A carnivorous tree digested the decomposing carcass of the founder of Rhode Island -- and its hungry root is on display! ~42 miles from Mansfield Center.